The new wireless headphones EVOLVEO SportLife MG8 feature a high-quality metal finish and powerful sound of played music files. 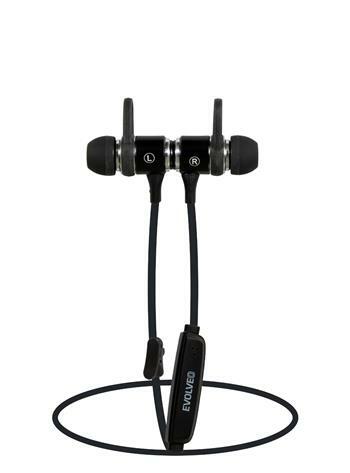 The headphones are resistant to splashing water and sweat thus they are suitable when doing sports. Ergonomic headphones are complemented by a practical stabilising bracing piece. Powerful neodymium stereo speakers supporting the X-Bass Sound system deliver distinctive sound with full bass frequencies. An attractive look effectively combines silver metal parts with matte black elements. Thanks to the built-in magnet, the headphones can be conveniently connected together when needed. The headphones then resemble a small metal jewel.